3) George Stewart Robison was born 1 Jan 1768 Barnwell District, SC, died 3 Sep 1853. He married Elizabeth “Betsy” Ann Robison, his first cousin, daughter of William Robison and Mary Lark. "The portrait of George Stewart Robison by Prime has a well-documented history. The late George Robison Black, former director of "The March of Time", but his will probated in Miami in March 1985, bequeathed it to his cousin, Thomas O. Lawton, Jr., of Allendale, South Carolina. The subject of the portrait later in life omitted his middle name and designated himself simply "George Robison". He was born on January 1, 1768, in old Barnwell District, South Carolina, the son of George Robison and Elizabeth Ann Stewart Robison. He died at his residence, his family home, on September 3, 1853, aged 85 years. He is buried in the overgrown plantation cemetery on his former lands, now one of the pastures of publisher William S. Morris, III, who calls the property 'Creek Plantation'. Mr. Robison married his first cousin, Betsy Robison, daughter of his uncle, William Robison, a short time prior to 1786; the birth of their first child, Allen Robison, is recorded on October 3, 1786. "Robison and his wife had six (6) children, only one of whom lived to marry. Their daughter, Betsey Robison, was born January 25, 1792, married William Kirkland about 1809, and died on February 2, 1812, after the birth of her firstborn, Augusta George Anna Kirkland. "Besides planting, Robison, according this this great grandson, was the owner of saw mills whose saw timber was rafted to Savannah on the river, and also the operator of pole boats that transported goods between Augusta and Savannah. 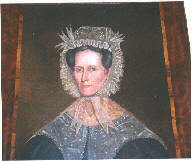 Thus Augusta George Anna Kirkland, was the only lineal descendant of her grandparents. She married on March 20, 1832, Edward J. Black, who became a Congressman from Georgia; they resided at his plantation, "Black Acre", in Screven County, Georgia. Mrs. Black died at the residence of her son, Charles Augustus Black, in Barnwell County, South Carolina, on June 26, 1880. Elizabeth “Betsy” (Augusta?) Robison. Betsy was born 25 Jan 1792, and died in childbirth on 2 Feb 1812 with the birth of her only child. She had married William Kirkland about 1809. EDWARD JUNIUS BLACK was actively involved in the politics of Screven County, SC. As stated in "The History of Screven County, Georgia", chapter: "More Politics in Old Jacksonborough", the political parties met on September 7, 1835 to prepare resolutions protesting the activities of the abolitionists in the North. Edward Junius Black was the leader of the 'Nullifiers'. William W. Black was secretary of the group. The committee was equally divided between Jacksonian Democrats, or "Union" men, and the Nullifiers, or "States Rights" men. The committee returned four resolutions: 1) they condemned the "fanatics and abolitionists" who were "wantonly" pursuing a course that would lead to civil war; 2) stated that if the abolitionists "persist in their incendiary operations against the people of the South, we will look to ourselves for protection"; 3) called on the state legislature to protect the citizens of the State in the exercise of the "just constitutional rights," and 4) asserted that the legislature had the right to enact laws "relative to the publication and circulation of Abolitionist pamphlets and other incendiary writings." From all accounts, the discussions were extremely heated. The "Union" leader, Captain William Hotchkiss, after a spirited uproar, was allowed to read from an abolitionist document, "The Emancipator", and stated that "though there was no law permitting abolition in the Southern states, it was indeed legal for Congress to abolish slavery in the District of Columbia". "Then arose Edward Junius BLACK. He was a fire-eater - little, consumptive, argumentative, vituperative. Four years earlier he had been narrowly defeated for the position of Attorney General of Georgia, and three years later he was to be elected a Whig member of the U. S. House of Representatives. As usual, Captain E. J. Black was not for moderation. He delivered a speech which the secretary described as "strong in argument and overflowing with Southern feeling," in which, among other violent denunciations, he condemned Union editors of the South who were charging that the Nullifiers, by their radicalism, were playing into the hands of the abolitionists." He then proposed the following resolution, which won unanimous support: Resolved, unanimously, by the States Rights men and Union men of Screven County, (SC), that he who charges either of the above political parties of this county, with participating in the designs of the Abolitionists, is a LIAR, and that such a charge, if made to us personally in our county, would subject the offender with the immediate infliction of Lynch's law." Chapter: "Screven County's First Congressman" "EDWARD JUNIUS BLACK was born in Beaufort District, South Carolina, on October 30, 1805. His father was William Black (1774-1838), a prosperous man who was later to meet with financial misfortune. 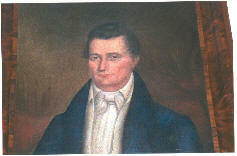 His mother was Sara Hanson REID BLACK (1784-1818), who was a sister of Robert Raymond REID, a man who was to play an influential role in Congressman Black's early life. Judge REID became a prominent attorney in Augusta, was elected to Congress, and was named by President Jackson as a federal judge in Florida, and finally became Territorial Governor of Florida by appointment of President Van Buren. "Edward J. Black's father lost a considerable part of his wealth through an unfortunate security-debt and moved up the Savannah River to Barnwell District, South Carolina. His mother died of tuberculosis when we was about 13, and his uncle, Judge Reid, took him home to Augusta, where he grew up under the influence of this distinguished man. He read law under Judge Reid, and was admitted to the bar at the age of 21, and for a time practiced law in Augusta in partnership with his uncle. Not previously a wealthy man, he received a dowry of 40 slaves from this marriage, which made it possible for him to buy from Samuel Maner a plantation of 3,000 acres in Screven County, located on the Savannah River above Brier Creek. He named the place 'Black Acre', settled down there as a planter in a house with six fluted columns, and opened a law office in Jacksonborough." " E. J. Black was elected to the state legislature from Richmond County (GA) in 1829.
" In 1831 he was the Whig candidate for Attorney General of Georgia, losing by a narrow margin to Charles J. Jenkins.
" Was elected as a Whig to the U. S. House of Representatives in 1839, but later denounced the party as not being "sufficiently dedicated to the cause of the Southern planter." " And in March 1845, he was elected to serve another full term in the House. E. J. Black died September 1, 1849, at the home of his wife's grandfather, GEORGE ROBISON, in Barnwell District. 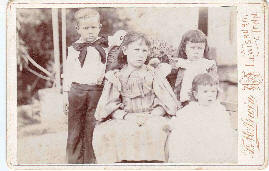 His children as listed in his will were: Elizabeth Hanson Black, George Robison Black, Edward Junius Black (Jr.), Charles Augustus Black, and William Raymond Black. 4) Ann Robison. I’m thankful to Bruce Odom for providing the following notes about Ann. I haven’t spoken with Bruce in awhile, and I have not researched Ann any further. Ann married (1) (Mr.) SQUIRE. 2 F i. Betsey Robison SQUIRE. 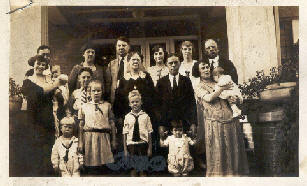 Ann also married (2) George ODOM. 5) Louisa Robison married 1) Daniel Govan; married 2nd.) John Chevilette. I do have a few notes about her descendants (see pdf file). Personal note: The Dunbar’s were cousins of my Hopkins’ family.